Fleas or ticks jump onto your pet when you take her out for a routine walk or to play. These pests are everywhere, from cold Washington to tropical Florida. As a pet owner, it’s likely you are already aware that ticks and fleas bloom in your backyard, which is where your pet enjoys playing. However, there are other places where your pet picks up these pests. Fleas can jump high, up to one foot into the air, which makes it easy for them to land on your pet’s coat. 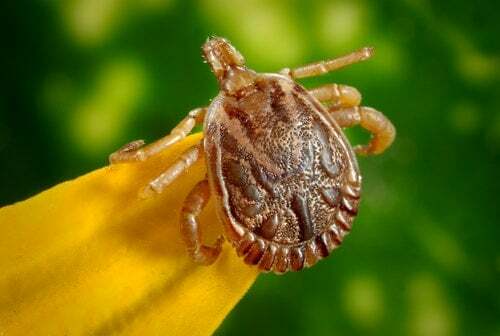 Also, ticks can latch onto your pet for more than five days and feed on her blood without both of you knowing. Fleas can also jump from your neighbor’s pet onto yours when they meet up for a play date. Sometimes it’s difficult to tell if your pet is infested until it’s too late. However, if you are vigilant, you might be able to see tale-tell signs. Here is how to know if your pet has Fleas and/or Ticks. Although you may not catch fleas or ticks red handed, if you notice that your pet is biting or scratching a lot, she may have fleas or ticks hidden in her fur. Not only is fleabite painful, fleas produce saliva that irritates cats and dogs. An adult flea is about one eighth of an inch in length. It is also reddish-brown in color and somewhat thin. So, it’s a little difficult to see one without the help of a microscope. However, if your pet has a light colored fur, you might be able to see fleas jumping around if you check carefully enough. If you are not able to see fleas, you will definitely see what is left behind. Fleas leave “dirt”, which has the same look and texture as pepper. It appears on your pet’s fur, or you may find some on her bedding, favorite chair or your carpet. The dirt you see on your pet’s skin is actually blood that has dried and turned black. Fleas tend to lay their eggs on your pet’s fur. The eggs look like ovals and they end up falling around your home and hatch into larvae. You can see the larvae as well because they look like tiny squiggly worms with slightly brown heads. If you also detect tapeworms, that is also another indication that your pet might be carrying fleas. Bites from fleas also transmit tapeworms. Thinning hair is not because of the fleas or ticks themselves but due to a lot of scratching. Your cat or dog will scratch a lot because fleabites cause a lot of itchiness. Fleas and ticks like gathering around the neck region or shoulder blades. Also, you might find fleas and ticks around the tail’s base or back of the legs. Such an infestation can cause a lot of damage to your pet’s coat. Once the infestation is full blown, you are able to see fleas around the bare areas such as the belly. If you check your pet’s skin just a little past the fur, you will see fleabites. They look like small raised dots. The other issue with bites from fleas or ticks is that they may cause your pet to develop fleabite hypersensitivity. A pet with this condition will have an itchy, scaly and red skin. 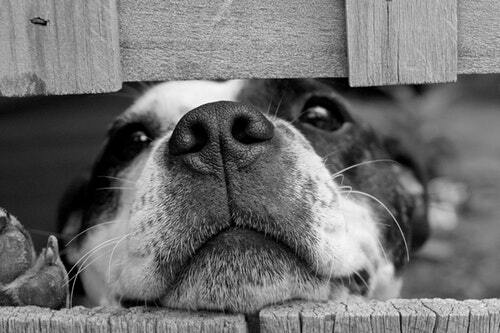 In addition, your pet may develop secondary infections. Where a pet suffers from a significantly large infestation, there is the danger of developing anemia because of losing many red cells. Fleas tend to consume about 15 times their total weight. Thus, pale gums may signal that your pet has lost a significant amount of blood possibly due to flea or tick infestation. Fleas and ticks cause a lot of discomfort to pets. However, sometimes they cause a little more damage to your pet’s health. They pass diseases around to both pets and humans causing serious health issues for your cat or dog. If your pet shows the signs we have discussed, or others that may lead you to suspect pest infestation, consult with your vet for advice on what to do and use flea and tick medication as a preventative measure for keeping your dogs parasite free.